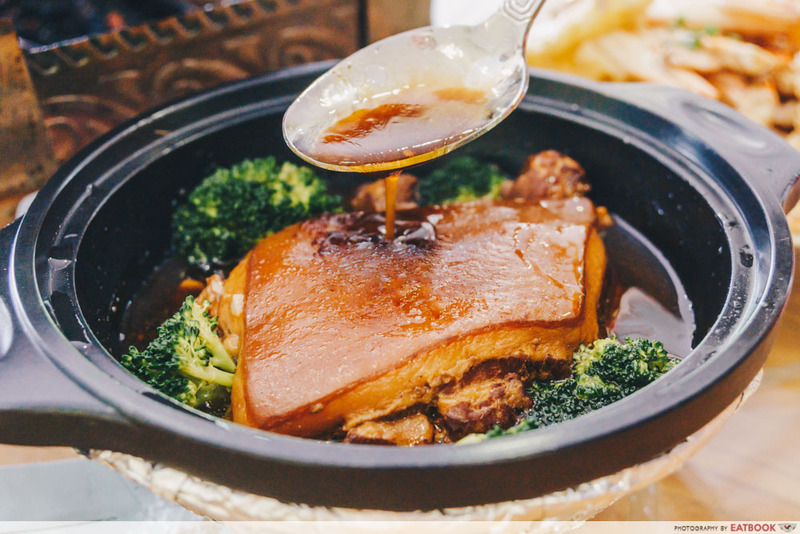 Mention “Putian” and the one-Michelin starred PUTIEN usually comes to mind. For those unaware, Putian is actually a coastal suburb in Fujian, China. 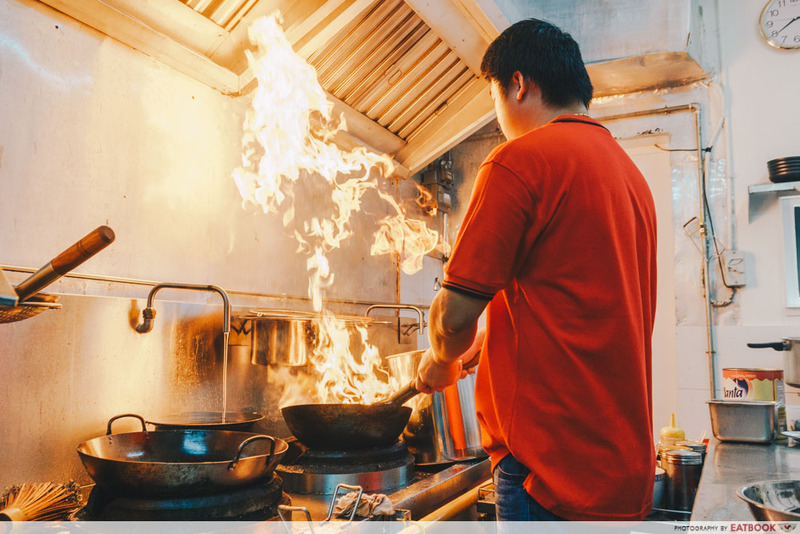 The local Heng Hwa fare follows a simple maxim: to highlight the quality and freshness of ingredients by using simple cooking methods. 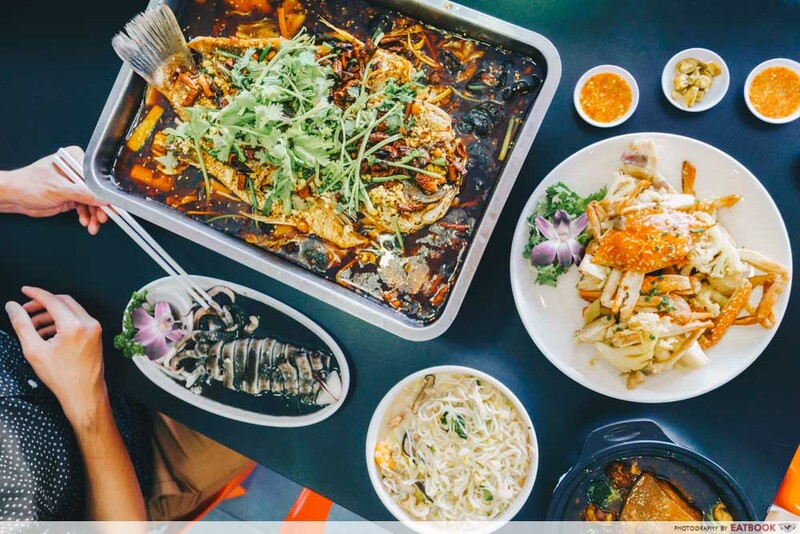 With their head chef hailing from Putian, you know Xin Hua Delights offers legit Heng Hwa dishes, similar to those of PUTIEN, at wallet-friendly prices. Perhaps the most recognisable dish of Heng Hwa fare is Xinghua Lor Mee ($5/$8/$12). 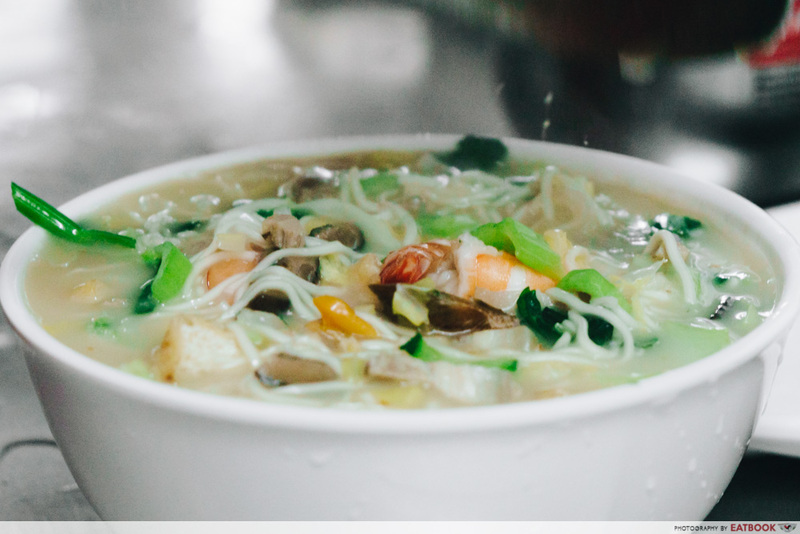 Unlike our local lor mee, the dish features a serving of you mian-like noodles and a white broth. Prepared by stewing pork and chicken bones for several hours, the umami-rich soup spiked the noodles with a tonkotsu-ish creaminess. 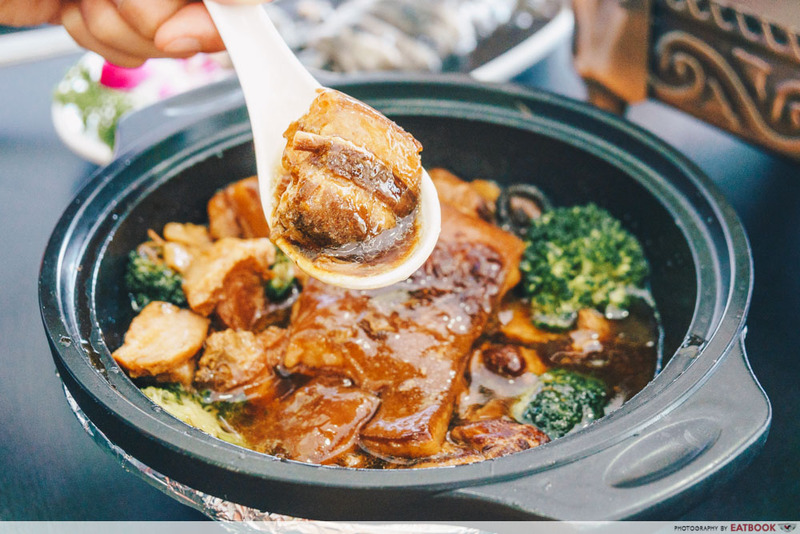 Various greens, such as Chinese cabbage and bok choy, are then stewed in the broth to lighten the richness. My favourite was the coriander, which cleansed my tongue with a slight herbaceous bitterness. 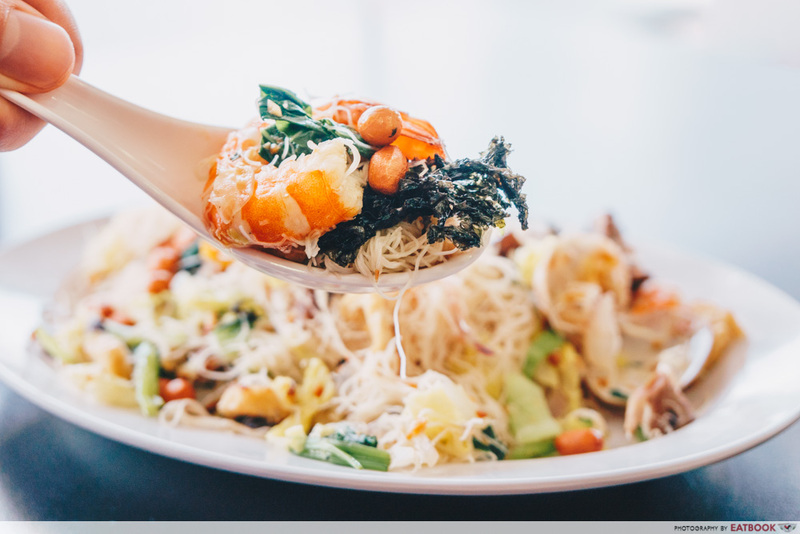 Silky and springy, every mouthful of the noodles offered a delightful duality of textures. My only gripe is the ratio of noodles to ingredients. Although the generous serving of noodles provided a filling meal, I felt that they could have been more generous with the pork belly. I recommend adding a dash of their house-made chilli sauce as well. 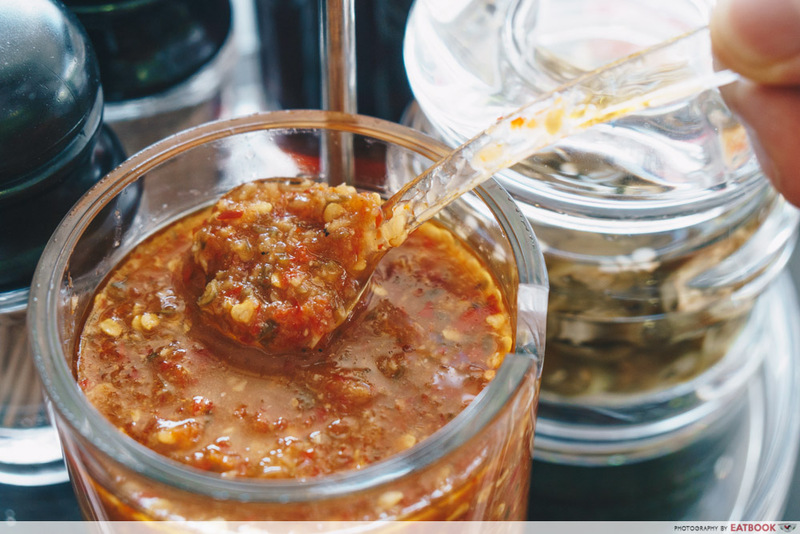 Featuring a blend of nine different spices, the relish roused my appetite with its zesty zing – hinting of a touch of lime – and a fiery kick. 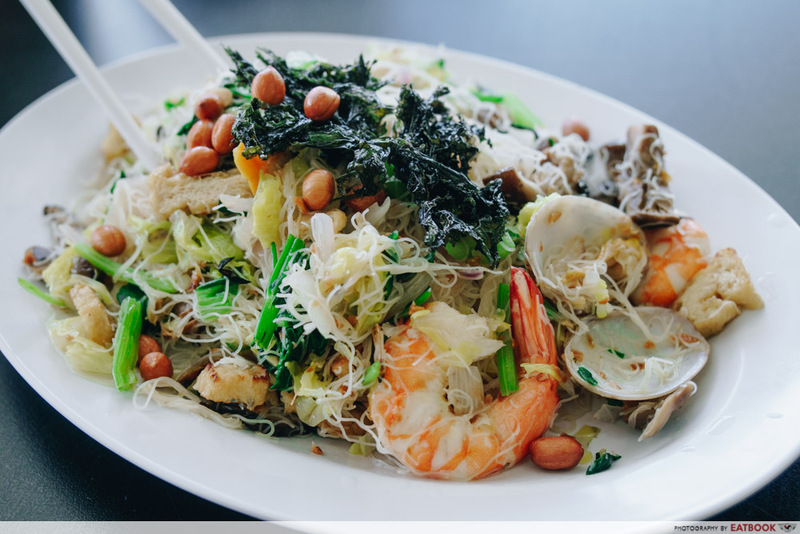 Another speciality worth trying is Xinghua Bee Hoon ($5/$8/$12). This extremely fine vermicelli is simmered in pork broth, rather than stir-fried, to prevent it from disintegrating. Despite being stewed in the same lor mee broth, the vermicelli possessed a lighter tang. It carried distinct whiffs of garlic, which was laced with the meaty savouriness of pork slices. 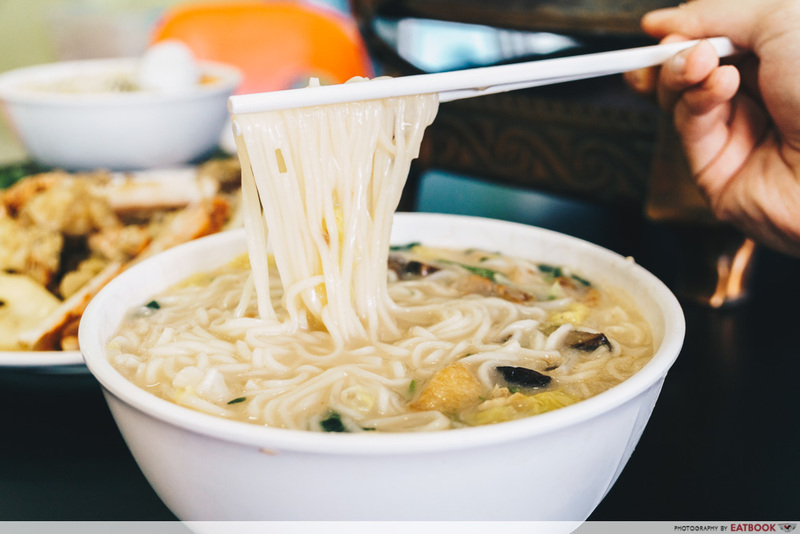 Although the noodles are tricky to prepare, they boasted an unparalleled fluffiness and rested on my tongue like a luxurious feather pillow. Hooked on its velvety mouthfeel, I inevitably found myself inhaling mouthful after mouthful of bee hoon. With the owner speaking highly of the Xinghua Braised Pork ($18), we had high expectations of it. And boy, did it impress. My inner carnivore instantly rejoiced as a colossal slab of pork belly, dressed in a viscous brown sauce, greeted me. The treat didn’t end there; a surprise of braised chestnuts was hidden beneath the meat as well. Braised for five hours, the fats achieved a semi-liquid composition. They instantly disintegrated in my mouth, crashing down on my taste buds in a rush of buttery flavours. Refresh your palate with bites of the broccoli, should you find the meat too greasy. Interestingly, chestnuts and tangerine peels were used to braise the protein. This gave the pork a nutty sweetness, instead of the familiar accents of cinnamon and star anise. 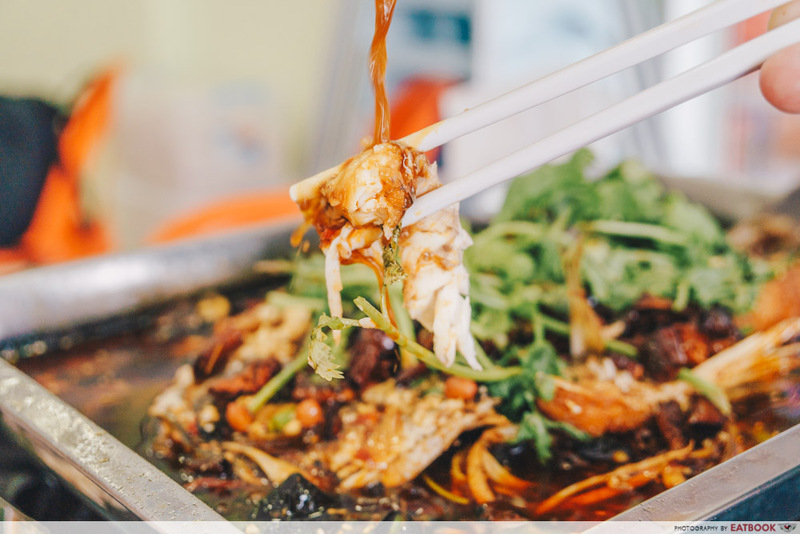 While Xin Hua Delights specialises in Heng Hwa cuisine, it also impresses with other popular Chinese dishes, such as Spicy Grilled Fish ($32). 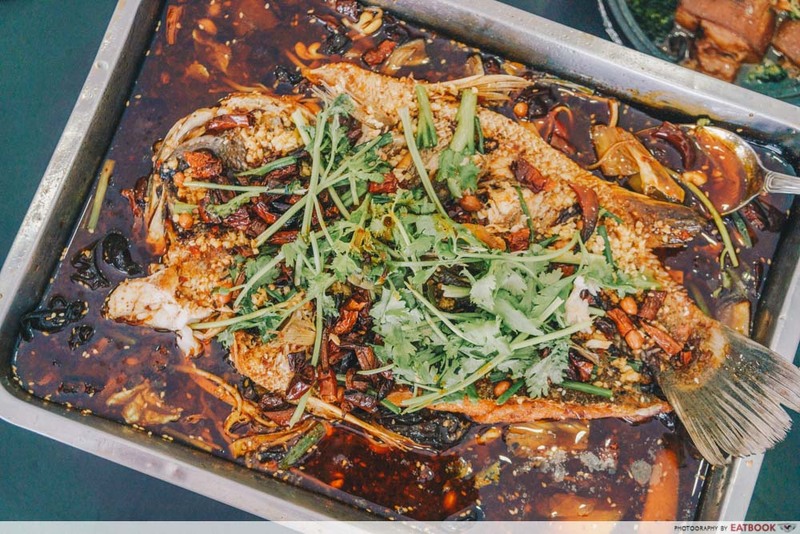 Reminiscent of Sichuan cooking, a deep-fried Asian seabass is buried beneath an avalanche of dried chilli and coriander. A sea of crimson chilli oil, peppered with assorted vegetables, encircled the fish. A worthy treat for any spice aficionado, the Sichuan peppercorns left a numbing sting on my tongue. I enjoyed the accents of garlic as well, which lent a savoury oomph to the sauce. Another impressive feature was the fried seabass. Though it was fried twice, the tender meat of the seabass peeled effortlessly off the bone. 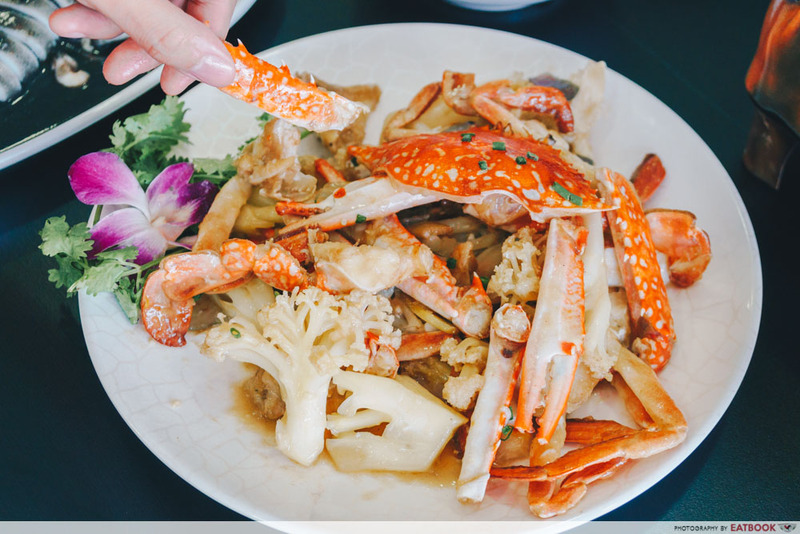 Crabs are usually expensive dishes, but the restaurant has kept prices low for its Fried Crab with Cauliflower. 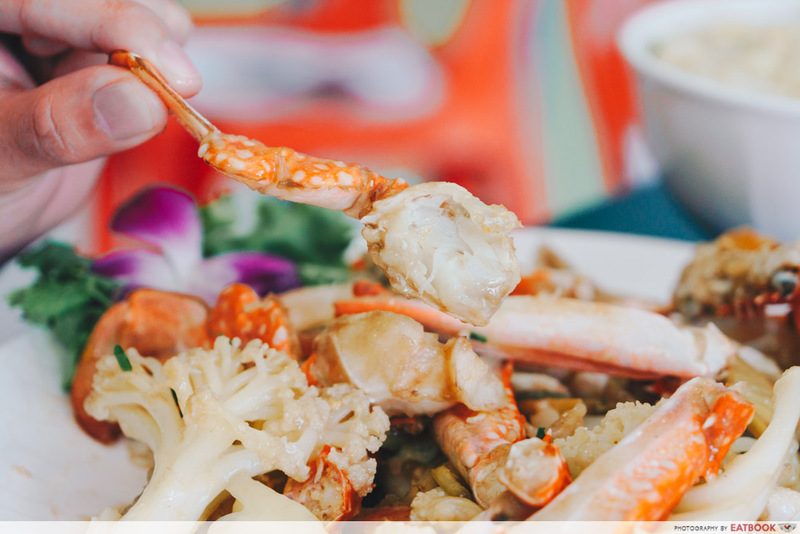 For $18, you can enjoy an entire flower crab, stir-fried with generous portions of cauliflower. Similar to most seafood dishes, ginger and red onions are added to eliminate the natural fishiness of the crab. Contrary to its slender appearance, the crab was fleshy. While its briny and sweet flavour was indistinguishable from Sri Lankan crabs, its texture was significantly flakier. The cauliflower proved to be a nice pairing, serving as an ideal foil of taste and texture. However, I felt the vegetable could have been diced further for a bolstered crunch. 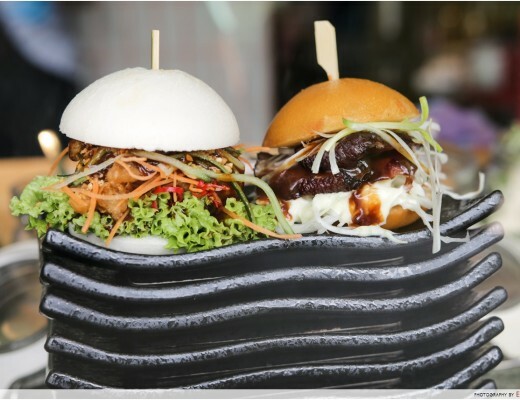 The air-conditioned Xin Hua Delights is located right across Sembawang Shopping Centre. You can head over easily by taking the complimentary shuttle bus service to the mall, which is available from both Sembawang and Yishun MRT Stations. 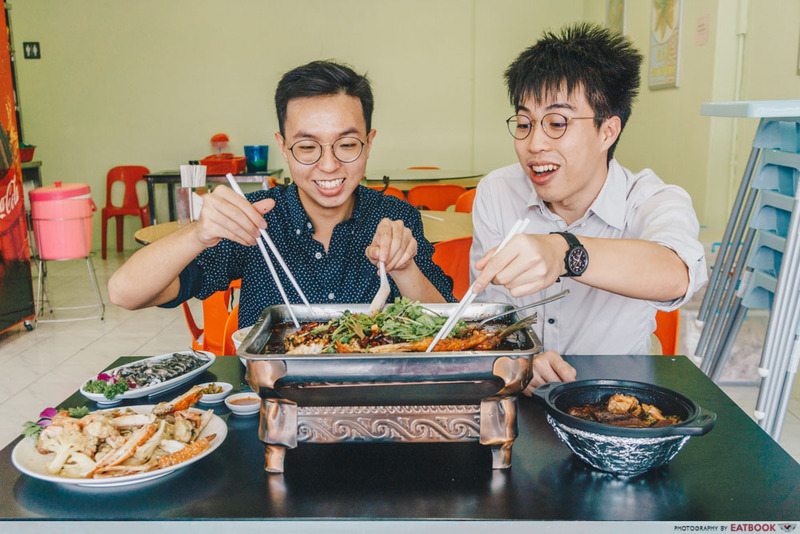 Finding Heng Hwa cuisine in Singapore is akin to searching for a rare Pokemon – ridiculously difficult, yet deliciously rewarding. 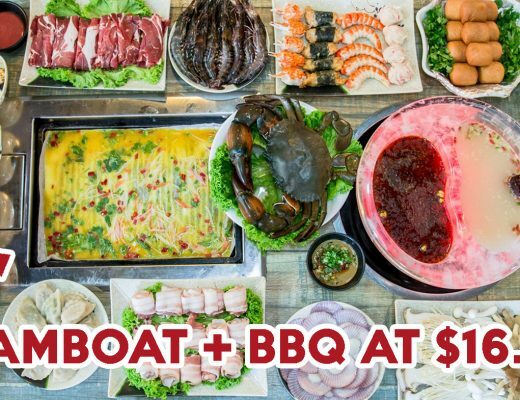 With an authentically Putian selection, Xin Hua Delights is a food gem to consider if you are searching for cheap and delicious food in Sembawang! 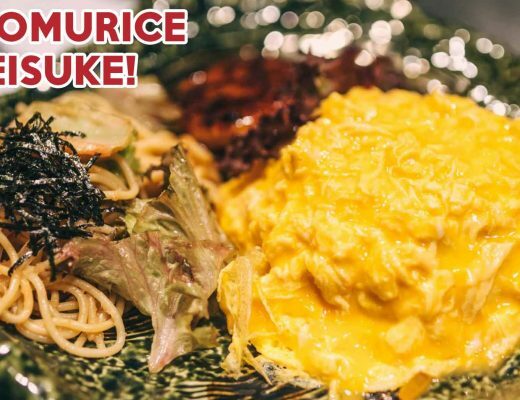 For more scrumptious nosh from both Sembawang and Yishun, check out our guide to Yishun food spots! 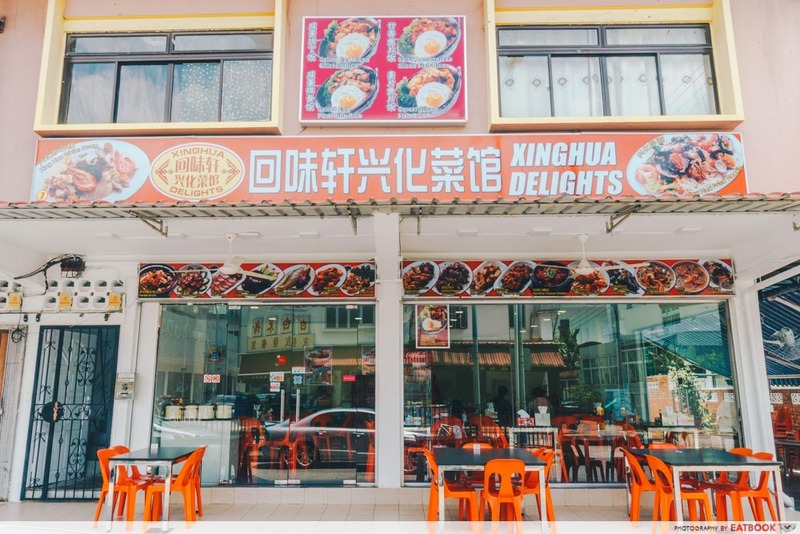 Xin Hua Delights is not a halal eatery. Photos taken by Tan Wen Lin. This is brought to you by Xin Hua Delights.